Will Sehestedt at sehestedt@tianet.org or (703) 299-5713. Whether you are a seasoned veteran to the TIA Policy Forum or a potential first-time attendee, join fellow TIA members in helping shape the future of the industry in the nation's capital. The 3PL Policy Forum will be held at The Intercontinental Hotel Washington, DC - Wharf, June 11-12, 2019. This year’s Forum also includes an exclusive tour of the Library of Congress. 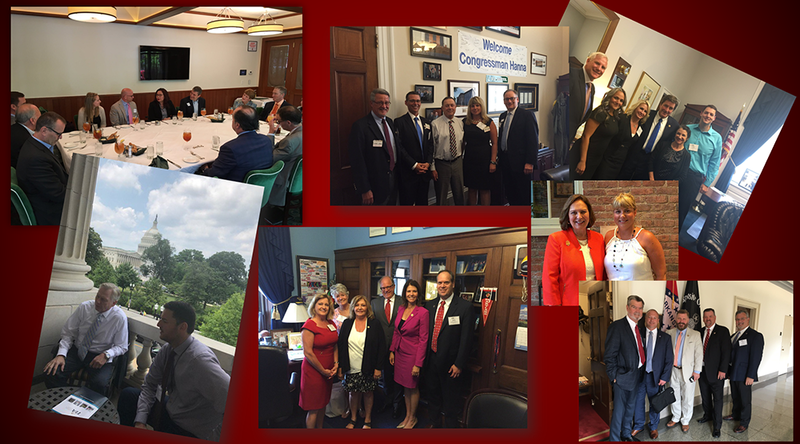 Over 80 TIA members participated in the 2018 Policy Forum, where they met with over 200 Members of Congress and their staff to support the National Hiring Standard and tax reform. Very few groups in Washington, DC rival the great support TIA receives from its members or hold as many personal meetings with the Members of Congress themselves. TIA staff provides seamless service to all attending members by personally handling all the scheduling on Capitol Hill.